What's At Risk When You Submit Your DNA? Your DNA is the most personal, valuable thing you own. Every cell carries the full sequence, including the mutation pattern that makes it uniquely yours. 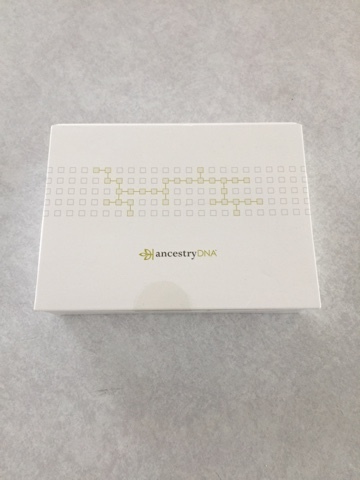 I wrote two posts about receiving the Ancestry DNA kit as a Christmas present, and that the results confirmed some long-held assumptions about my family tree. I still consider it to be fun, creative and thoughtful because it answered some questions I had. Lately however, these at-home DNA kits have made headlines. What if the most personal, valuable thing I own wound up in the wrong hands? My biggest fear, immediately, became of the insurance lobbyists. If they were granted access to these consumer databases, could it have a detrimental effect on the healthcare system in this country? Could they determine coverage denials based on certain DNA mutations? What could that mean for my children? In response to Sen. Schumer, legitimate genetic testing companies have promised to not sell or give away this information without consent. Unfortunately, a broad consent is part of the initial contract the consumer makes with such company when a test is submitted for analysis. Would I have any knowledge or awareness of when or if a company or law enforcement agency goes too far? And what if, despite best efforts, my biggest fear is realized and health insurers get access? Did I truly understand what I agreed to? The truth is, no – I didn’t. Even with the fears I’ve highlighted, there is some good that can come from this. What if these at-home DNA kits can unlock the cure for Type 1 Diabetes? What if there was a way to detect Celiac Disease or Parkinson’s before its onset? What if we can then eradicate them? Because there is such potential, it is my hope that regulations can be put into place so a person’s DNA sequence can’t be used against them. Ancestry has also stated that a person could log on to their Privacy Center and delete their genetic information. However, even if the sample is physically destroyed, once it’s digitized, it’s difficult to make completely anonymous. If consumers aren’t capable of knowing how their DNA is used, would they be able to prove an employer fired them because they now have the risk of an expensive diagnosis? Would this person then receive the shock of a suddenly higher insurance premium, or worse, a flat out denial and be able to prove his privacy was violated? Even more timely – decades old homicides are being solved and serial killers who went into hiding long ago are being unmasked thanks to consumer DNA databases. The Golden State Killer was apprehended through a match to a distant relative, and investigators were able to build his family tree before his capture. Michelle McNamara dwelled on this idea in her book, I’ll Be Gone In The Dark. She entered the samples she had access to into a public Internet database, GEDmatch. When I learned of its success, chills ran down my spine. Society as a whole deserves justice for these horrific crimes, but especially the victims and their families. While cities were terrorized, it was the families who suffered an undeniable tragedy. Can we trust law enforcement to not go too far? Police in California plan to use a similar process to track down and identify the Zodiac Killer. Both Ancestry and 23andMe said they do not work with law enforcement unless they receive a court order, adding that they did not receive on regarding GSK. Ancestry hasn’t received such a request in 3 years, but did report it released a customer’s DNA profile to police in compliance with a search warrant in 2014. Plus, the genotyping used in the criminal database, CODIS, is very different than what is used for the private sector. Even if police are presented a situation in which their testing would be useful, they still face the legal and technical limitations that are usually a deterrent. The answer is it’s possible, but it’s rare. Would you submit your DNA for a genealogy test? Is the benefit this could have on society as a whole worth the potential privacy risk to its citizens?